Close your eyes at Telo Lodge, and what do you hear? 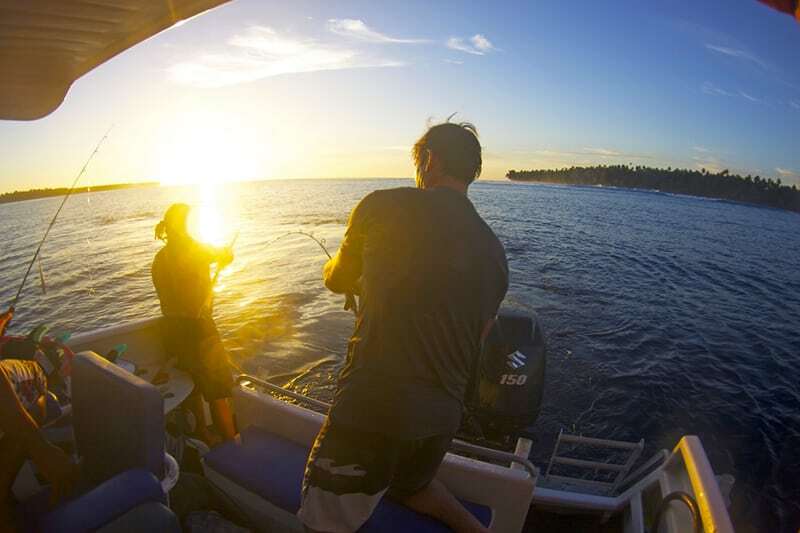 You’ll hear the sound of surf on reef, the rustle of palm trees, and you’ll most likely pick up the twangy, (some say harsh) sounds of the Australian accent as Aussie surfers say Aussie things to their Aussie mates. With some bombing swell coming through early in the trip, we passed on well overhead Max’s Left and took a punt on the mission to GTs. GTs needs a fair bit of energy to get moving, so we were stoked to be greeted by a empty line up and three-foot runners! Three foot GTs feels like five foot anywhere else and the boys dug in accordingly. Since then, the swell has backed off nicely which has opened up some of our other options such as The E.R and Kindies. We’ve been getting some good fish too! Wahoo and Doggie Tuna have been making for seriously good Sashimi on sunset. You’d swear all these blokes were best mates from years back. 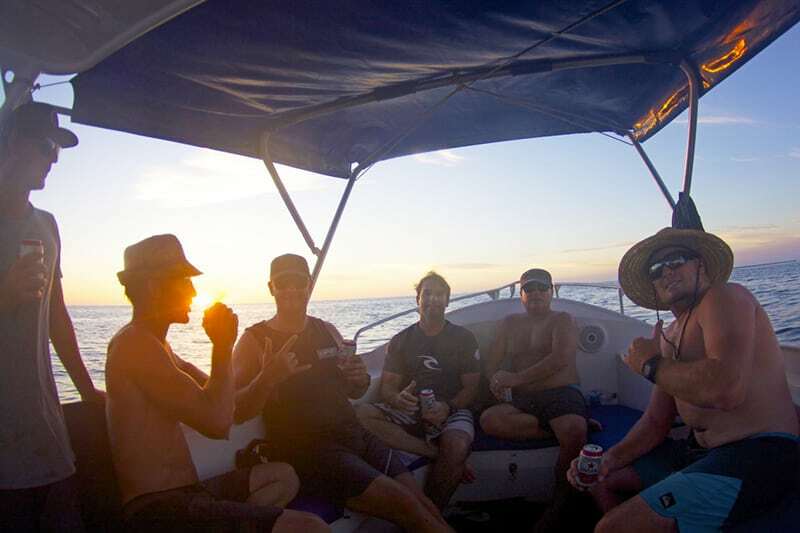 Everyone’s stuck together, sharing waves and staying up every night having beers and ripping on each other. It’s a beautiful thing.